Hollywood director, Kerstin Karlhuber, whose production company, Silent Giant Productions, recently released “Fair Haven the film,” to excellent reviews, hired Custom Catios to build a dogio (dog run). The Los Angeles Times called Fair Haven an “emotionally wrenching drama” with a “lovely script” and “thoughtful direction” by Karlhuber. Edge Media Network said Fair Haven was “a potent, stirring new film,” that is “meticulously directed by newcomer Kerstin Karlhuber.” In other words, check out the movie if you have not already seen it. 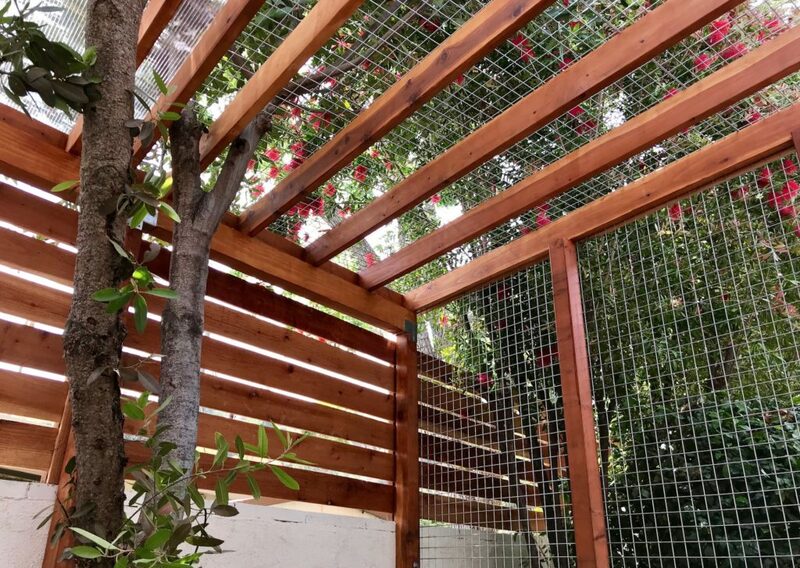 While Custom Catios specializes in cat enclosures, there is also demand for enclosed dog runs too. Doubly so in the hills of Los Angeles where coyotes are prevalent. Such is the case with Kerstin, who has a five-year-old golden retriever and a small dog, whose hillside home is regularly visited by coyotes. Catios and dogios are similar structures with only a couple major differences. 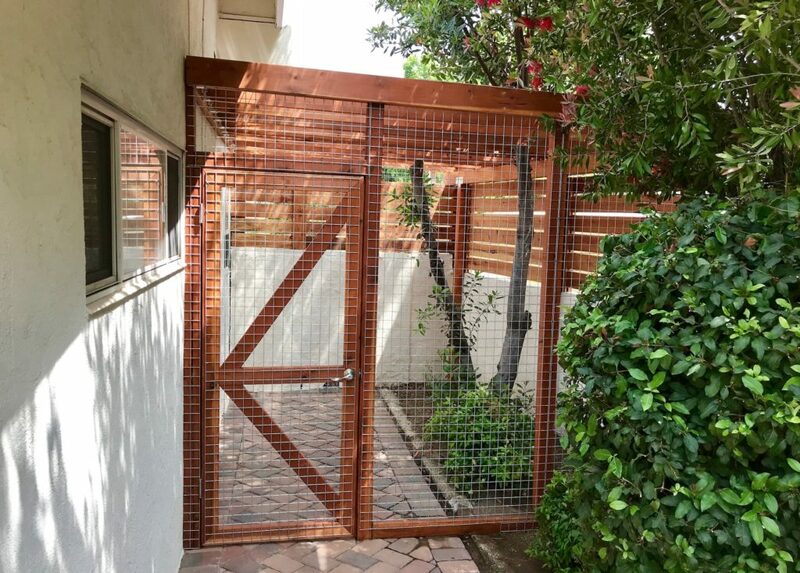 They both need to be completely secure with materials that can withstand coyotes, raccoons and even, potentially, mountain lions. 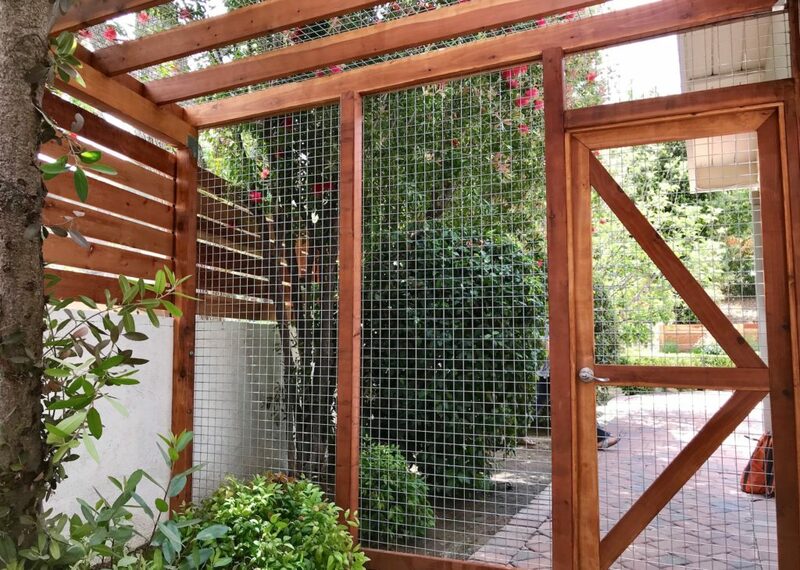 Generally, dog runs should be larger than cat structures, as dogs need more room to let out their energy. A dirt, grass, or artificial turf area where dogs can go to the bathroom is also a good idea for a dogio. Cats, on the other hand, need more vertical space to climb up and watch the world pass by below. This can be achieved with ramps, shelves and platforms, or a cat condo. 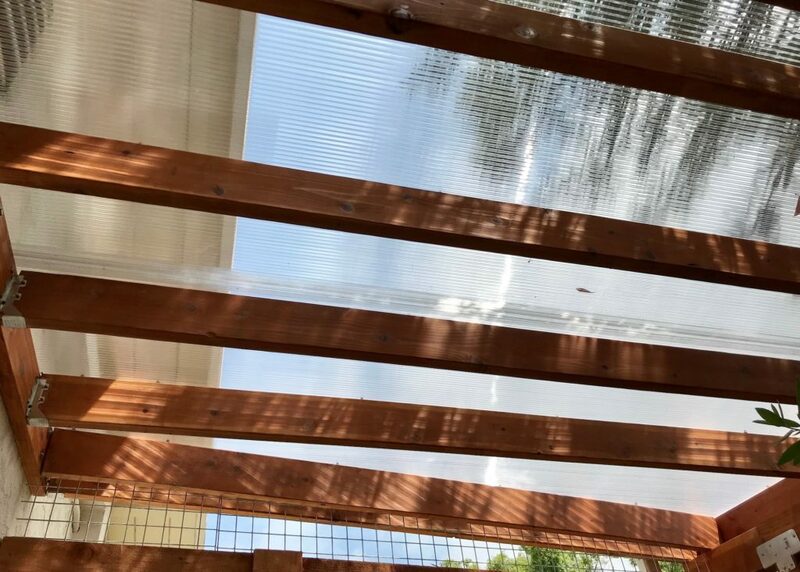 A floor to ceiling sisal rope pole is the perfect cherry on top of the catio ice cream sundae. 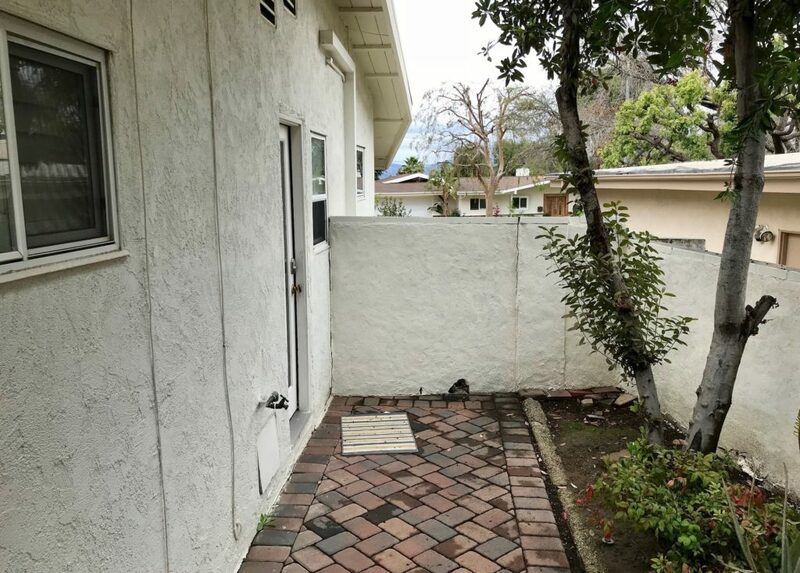 An outdoor litter box is also a best practice.